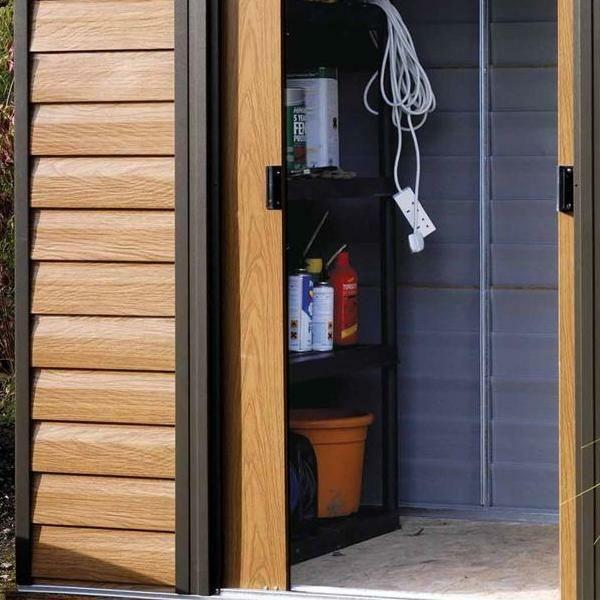 Apex metal shed is a great alternative to timber. Low maintenance wood grain effect finish. 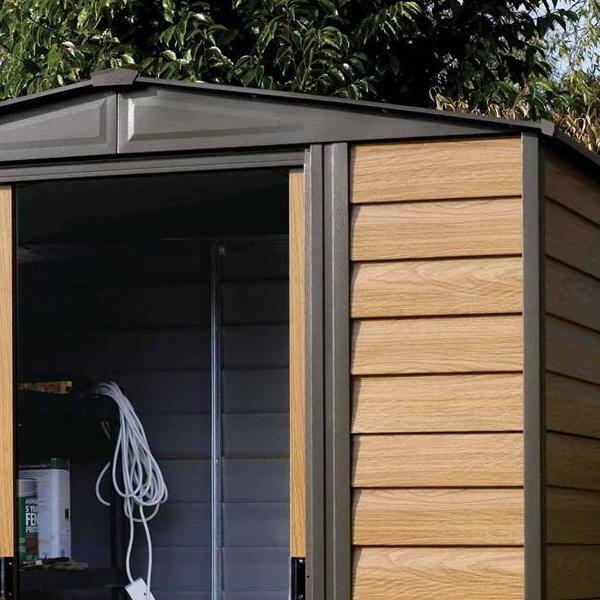 Offering a low maintenance alternative to timber, this high quality metal shed is suitable for a variety of home and garden locations. 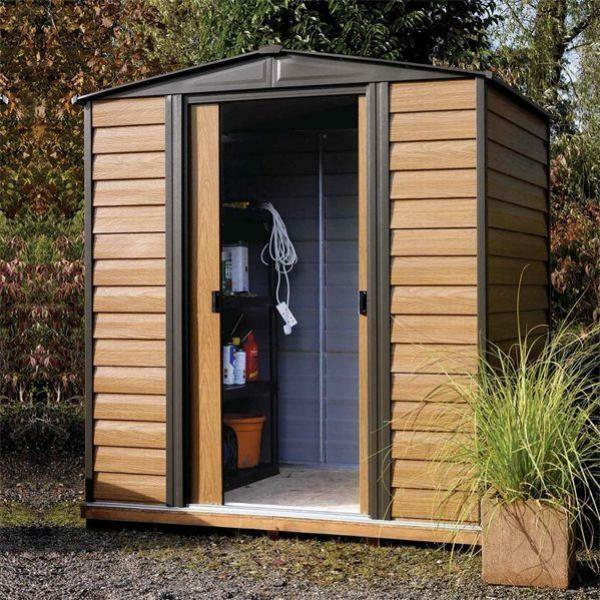 Manufactured to high standards, the shed features a wood grain effect look to enable it to blend well with the natural surroundings of the outdoors.